It’s one of the realities of business: there’s always something that needs to be upgraded, always something that could be improved or isn’t running as well as it should be. For many businesses, one of the most obvious is your IT infrastructure. Sure, you’d like to have the most up-to-date IT equipment. It would boost your team’s productivity and let you serve your customers even better. 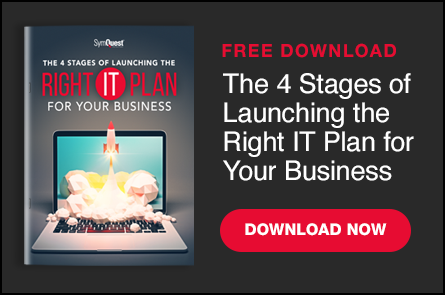 Businesses—and the professionals who provide IT planning and support—are under constant pressure to move faster and be more agile. As much as you may want a state-of-the-art IT environment, the fact is that there are hurdles in the way of getting the business IT you envision. But there is one solution that allows organizations to deliver the technology their operation needs, while also reducing the cost and complexity of their IT environment. Hyperconvergence is one of the top trends in the business IT space. 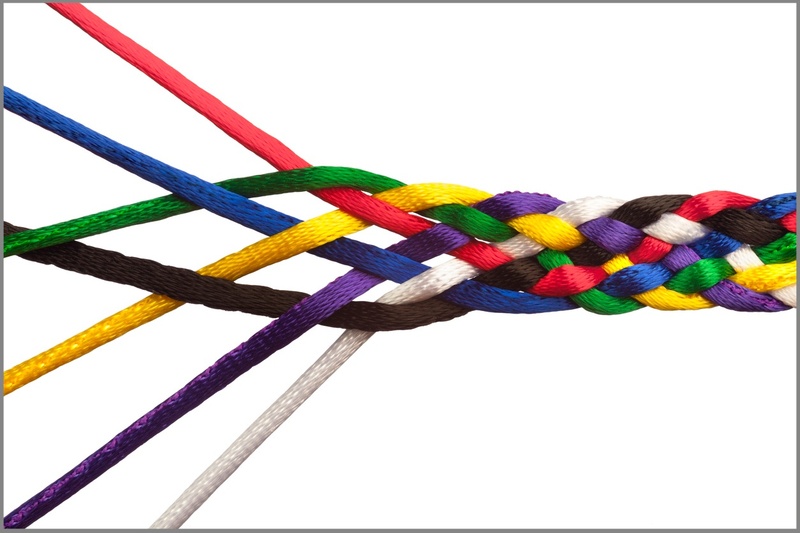 If you aren’t familiar with the term, hyperconverged infrastructure means integrating the main IT infrastructure functions into one agile device. 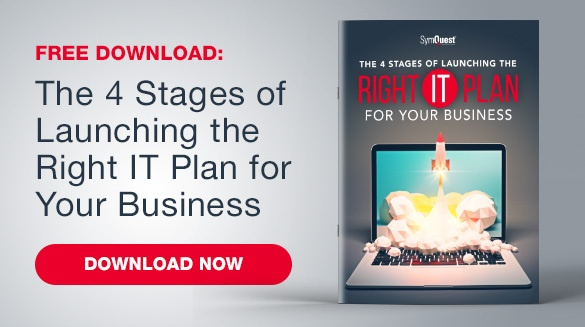 Traditionally, businesses would examine each of the three areas above and work with individual vendors to piece together their IT infrastructure. Relatively recently, people started to realize that this DIY approach was inefficient and costly. As a result, the converged infrastructure model emerged. Manufacturers began bundling the compute, storage, and server functions together into packages and selling the complete systems to businesses. However, these packages were often nothing more than multiple pieces of equipment positioned as a single solution. Finally, we have reached the era of hyperconverged infrastructure. With this model, all three components are virtualized. There is a single piece of equipment that handles all of the IT functions your business needs. This allows you to eliminate the complex layers and integration points that plagued the more traditional infrastructure model. With a traditional IT infrastructure, IT professionals often end up focusing more on urgent maintenance tasks and less on strategic business initiatives. Hyperconverged infrastructure offers businesses a data-center-in-a-box option that can eliminate many of the time-consuming and complex aspects of tech management. Hyperconverged infrastructure consolidates the functions of a traditional IT infrastructure stack – like servers, storage, network switching, and WAN optimization– into a single solution that is managed by a single administrator. The result is that, not only are operational expenses reduced, but there is only one vendor to deal with because all of the traditional components are consolidated. Plus, built-in efficiency and data protection makes it easier to manage essential applications, increasing performance and reducing recovery time. It’s a simple fact: as your business grows, you need to add increased IT performance and capabilities. With traditional infrastructures, scaling is a challenge. Whether it’s purchasing more equipment or more storage space, the system only gets more complex—and more costly. For virtual desktop infrastructure (VDI), scaling is particularly challenging. VDI-based workloads scale linearly, requiring RAM, compute, and storage to scale simultaneously. Hyperconverged solutions are a much more modular, scalable approach. Instead of scaling out—adding nodes on an as-needed basis—hyperconverged allows for scaling up and scaling wide. Scaling up is the ability to upgrade nodes by adding CPU, RAM, networking, storage or all of the above. Scaling wide is the ability to scale a solution across multiple sites, including remote offices. Upgrading or increasing IT infrastructure has traditionally cost a lot. Refresh cycles can seem like a constant (expensive) process. IT components don’t last the same amount of time – so your servers might need to be refreshed one year, then the next year your storage could use an upgrade too, and then your network switching needs to be updated. Because of the price tag, you may even defer these upgrades, which negatively impacts the productivity and efficiency of your team. Integrated approaches to the data center lead to less equipment to overhaul and therefore less money spent on tech refreshes. Hyperconvergence offers a single-vendor solution that helps cut costs by integrating the traditional IT infrastructure stack into one platform. Don’t let these three business IT hurdles become stumbling blocks for getting the performance, scalability, and efficiency you need for your network infrastructure. Talk to a SymQuest IT Consultant today to start the conversation about adding a hyperconverged infrastructure model to your business.